Smile. Wink. Bark. Meow. A teen tech entrepreneur is bringing some furry fun to sound-based emojis. 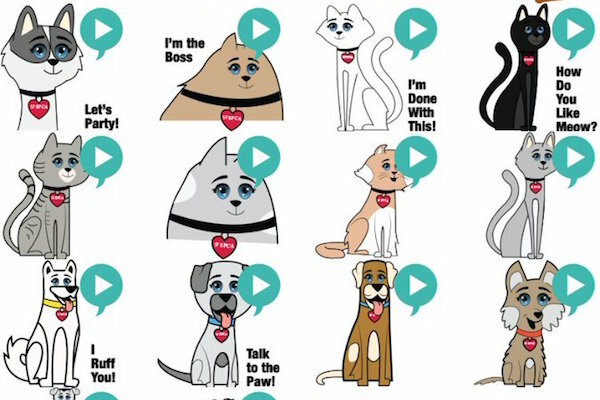 It’s part of an app called Audiots, which was recently founded by 13-year-old Mercer Henderson, and all of the proceeds go to the San Francisco SPCA as part of the Audiots (Emojis) for Good campaign. So now, in addition to kissy faces and dancing figures, smartphone users can send dogs and cats that bark, meow, and say funny things via text message. Animal lovers can add a whole new set of expressions to their texting repertoire while raising awareness for animal welfare. The app is just $1.99 and comes with a pack of 18 emojis, with more planned to roll out in the near future. It’s amazing what a seventh grader with a knack for technology and a love of animals can come up with while attending school full-time. The post We’re Obsessed With These Emojis That Let You Bark for a Good Cause appeared first on Dogster.